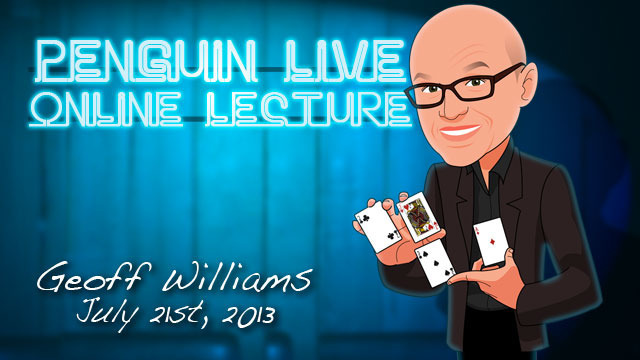 Today, when you order "Geoff Williams LIVE", you'll instantly be emailed a Penguin Magic gift certificate. You can spend it on anything you like at Penguin, just like cash. Just complete your order as normal, and within seconds you'll get an email with your gift certificate. Geoff Williams LIVE (Penguin LIVE) One of the world's most creative, comedic and talented magicians came to Penguin for a fun-filled 3 1/2 hour live event. SUPPORT LIVE MAGIC. DOWNLOAD THE FULL LECTURE TODAY. SPECIAL OFFER: Order Geoff Williams LIVE TODAY and download "The Lure Hat Fan Club"- An fun, multi-spectator card revelation routine where you reveal their chosen card by looking down their throats!. You'll also receive Geoff's "Card Memory Quiz" app that he developed as a quick & easy solution to learn keywords associated with playing cards. Available for both Mac and PC. 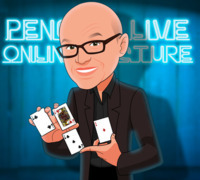 Start learning now (will appear as "Geoff Williams LIVE" in your MyPenguinMagic access area)! Geoff will be covering some nearly self-working items as well as some more demanding pieces. There is something for EVERYBODY. Variations and improvements on miracles by such luminaries as Ed Marlo, John Mendoza, Don England and others. A three-time "Magician of the Year" through the International Brotherhood of Magicians, Geoff is a full-time professional entertainer who has won over two dozen comedy and magic awards over his 28-year career. He's performed and lectured in over 17 countries and throughout most of the U.S., has written for "The Late Show with David Letterman" and is a frequent performer at the world-famous Magic Castle in Hollywood. Geoff adds a hilarious, astounding and MEMORABLE experience to any events he performs at. He offers cutting-edge sleight of hand illusions mixed with an offbeat, zany sense of humor. His shows are filled with unforgettable illusions and stunts. Geoff is probably best known for his "I Hate David Copperfield' trick which was on Penguin Magic's online Top Ten list for almost a year! Geoff also specializes in close-up, strolling illusions (some which happen right in the spectators' hands). Geoff is one of the elite members of the ultra-exclusive 4F Convention, a "by invitation ONLY" gathering of some of the planet's best and most-respected magicians. Geoff is a Past President of International Brotherhood of Magicians Ring #19 (Minneapolis/St. Paul, MN) and Society of American Magicians Assembly #136 (Tucson, AZ). If you've never been to a magic lecture, theres never been a better time. Sunday July 21st at 7:00pm, were live-streaming Geoff Williams in a spectacular 2-hour interactive online lecture. Watch, ask questions and learn things you won't find in any book or DVD. Purchase the Geoff Williams LIVE product. This is your ticket. On Sunday July 21st, anytime before 7:00pm Eastern, click the MyPenguinMagic area at the top of the Penguin site. Youll see the livestream appear 1 hour before showtime. At 7pm sharp, Geoff will hit the stage and begin his JAM-PACKED professional lecture. Ask Geoff questions and discuss the tricks DURING the lecture. Geoff Williams gave an incredible 3-hour lecture. There was a wonderful mix of theory and method. Some of the highlights for me, away from the effects, included his talks on adding comedy to your routine, asking “What if?” to raise the level of your magic and thoughts on mind-mapping. These exercises will help you perform what you already have in a better and more entertaining way, and they might also lead you to create an effect. As for the effects, I loved his Devastation. This has the look and feel of an ACAAN effect, and it is really simple, which will allow you to spend time on your presentation. You can do this with a borrowed deck if you wanted. Spectator shuffles cards, cuts into any number of piles, mentally thinks of one card in one of the piles and remembers the position it is at. The packets are reassembled in a haphazard order with the mentally thought of card buried somewhere in the middle. Then the spectator cuts the deck some more. The performer asks the spectator what his number was. He counts down that many, turns over the card, and it is a match. This blew me away, and when you see the ease in which it is executed, you will be kicking yourself for not thinking of this yourself. Geoff opened his lecture with his I Hate David Copperfield trick. This is an amazing piece of magic using three cards. I think because of the nature of this trick, you will only want to do this in close settings, maybe one to four people. What ends up happening is a card visually moves from the bottom of the packet to the middle. When I watched this performed on the video, I thought I saw something (as in tipping the method), however, I was wrong. It appeared as if he put it on the bottom slid it out and then slid it back in the middle. I was thinking to myself, what’s the big deal with that. However, when he explained the effect, Geoff demonstrated that he did not accomplish the result with what I thought I saw. So, I think it will be better with a smaller group so they can focus like a laser on the cards and see the odd card is clearly on the bottom when the moving and melting begin. This is very visual, and when the card melts through during the second phase, it is a stunning moment. 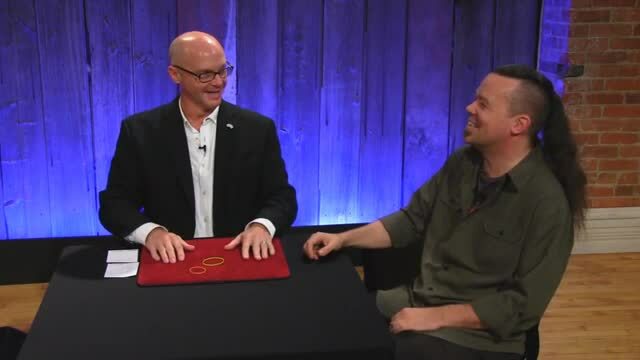 For those of you who like Dan Harlan’s Impromptu Linking Rubberband effect, Geoff will show you a way to get into it that is pure gold. The unlink is very good, too. Geoff combines the Chicago Opener/Red Hot Momma with a Torn and Restored Signed Card. If you have shied away from torn and restored card effects because of having to introduce extra things only to have to ditch them, this could potentially be a solution for you. I am enamored with this plot, and while I practice a different version of this a lot, I have never actually performed it live. I am thinking this is a version I could perform live. Geoff also shares some neat insights into why he combines the torn and restored with the Chicago Opener, and it is something I never considered before. While there was much more on the lecture, let me close with my thoughts on his Progressive Betting Routine. This is where Geoff continues to up the ante with betting on whether the spectator who free places a face up card in the deck will match or not match the color of the card next to it. Except for his lucky penny that Geoff is willing to wager, the rest of the money comes from a second spectator. I did not care for the betting aspect, as I do not gamble, and I did not care for using someone else’s money (I never like to place a spectator in an awkward position, though this could be taken care of by asking someone before the show to play along, because this does not affect the outcome of the piece, this is not really “pre-show”), however, I really enjoyed the effect. Because it involves matching colors, I saw it as a color effect more so than a betting effect. Because it uses a portion of the deck (slightly less than half), I thought I would combine it with Jon Armstrong’s Out of This Blah effect, which is a take on Paul Curry’s Out of This World using a packet instead of a full deck. Wanting to do things in three (a la Dan Harlan’s Triple Trilogy structure), I sought some advice on The Magic Cafe, and one of the members there suggested completing the routine using Armstrong’s Follow the Leader. There’s a lot of good, usable effects that you can and will use in Geoff Williams’ three-hour lecture. Host Dan Harlan, who always does a fantastic job and adds so much, noted at the end that there was not much to ask because Geoff had covered and explained so much along the way. If I might sidestep a little bit, Dan Harlan is a great host. 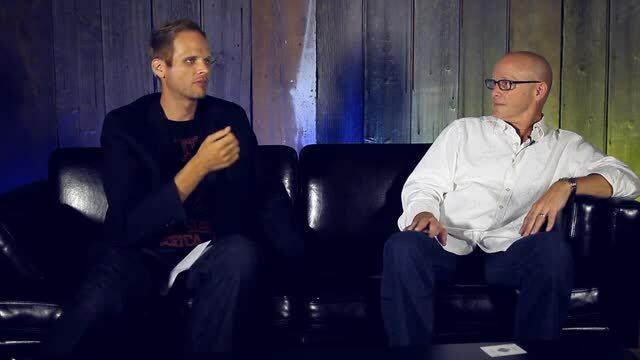 Not only does he ask relevant questions, but he always shares some insights that adds to the understanding or gives pointers on how to take something in a different direction using the methods. His contributions are invaluable and it is almost like getting a free mini-lecture with every Penguin LIVE event in which Harlan is the host. And, Harlan does not interject himself in such a way that it becomes “his show;” he allows the magicians to shine and adds just a little something extra. I found this lecture to be very worthwhile. As with most of the Penguin lectures, if this is all you purchased this year, you'd have enough material for an actual strolling/restaurant gig. Geoff is a FULL time Professional Magician. There are no pipe dreams or B material tricks in the Penguin lecture. Geoff doesn't create magic for lectures, instead he teaches the A+ material that he uses at all his gigs! The lecture has filled with tried and true routines, techniques, memory tips for card word, etc. And Dan Harlan AGAIN makes these lectures flow so smoothly! I have watched this one over and over, learn something new each time. Geoff Williams has always been an amazing performer and hilarious comedian, and this lecture is no exception. Geoff mixes comedy and mind blowing magic in a perfect way. And one of the differences in this lecture is you'll use everything he teaches. It's a world class lecture. And the reason I called this omega lecture is because he teaches an amazing routine called omega bet which alone was worth the whole lecture for me. It's a five phase betting routine starting from impossible and ending by making you crap yourself from the impossibility. He also teaches his famous I hate David copper field routine which is gold. So whether your fresh in magic or a seasoned pro Geoff will give you A+ material to add to your repotoire. Love the fact that these online lecture even exist,just had heart surgery and homebound can't get around yet.But I still can have my magic too. Geoff Williams is the real deal,creative ideas so absurd it is genuiess.Can't say enough.Anyone,any skill level in magic would learn plenty from this lecture.For me this was the best Magic for me an my recovery.excited to get well and try the new stuff out.Thanks Penguin Magic,Geoff Williams and old friend Dan Harlan. May you always have success !!! Highly recommend this lecture - great insights into humor and act development. get this lecture! I have wanted to see Geoff lecture for a while and I finally had the chance, thank to Penguin Magic. It was everything I hoped it would be and I was not disappointed. I have "attended" a few other Penguin Magic lectures and really like the format and the convenience. Geoff was a pleasure to watch. This lecture was entertaining and informative. Solid advice, ideas, and effects. Highly recommend. You will learn routines and effects you can use. Thanks Penguin LIVE for introducing this talented performer to me. Geoff is an awesome performer full of very clever magical ideas. He knows how to pick solid material that's made for he real world. You will definitely perform items on this lecture.